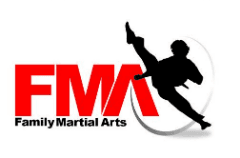 Our Mold & Flintshire Family Martial Arts School provides an exciting, educational and fun environment for Adults, Teens, Families and Children of all ages. We are conveniently located in Oaktree Business Park and serve the local communities of Buckley, Ewloe Green, Northop , Sychdyn, Rhosesmor, Rhydymwyn, Gwernaffield, Loggerheads, Gwernymynydd, Nercwys, Padeswood & the whole of Flintshire. We have a very convenient schedule with classes available every evening Monday to Thursday.